Super heroes are my fave. They save the world and make others happy. They’re also extremely good looking (if I do say so myself). I was so excited to see Avengers:Age of Ultron not only because of it’s stellar cast, but more importantly, for Mr. Captain America himself (hubba-hubba)! Avengers: Age of Ultron is based on the story of Tony Stark and Bruce Banner jump-starting a dormant peace-keeping program that unfortunately, goes terribly wrong with their main villain, Ultron, who enacts his terrible plans for humanity. 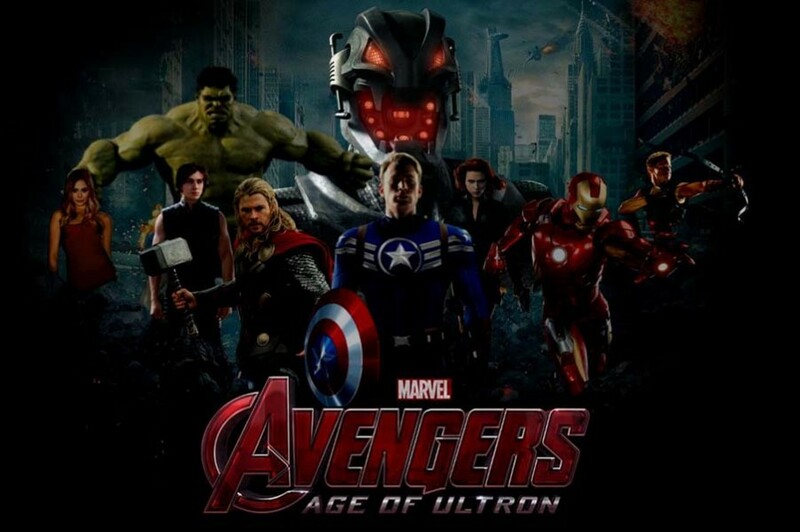 It is up to the Avengers to save the world yet again in this action packed film. Some of my kiddos met up with me to watch the movie! They loved it! I really enjoyed the Avengers film for many reasons. The cast did a phenomenal job (as they have in the past films) at portraying their characters. The action was also really great and the effects were out of this world amazing! I still marvel (no pun intended) at the fact that we have such advanced technology now to make films look so realistic, like the Avengers did. My most favorite part was the innuendoes and small comical relief moments that had me giggling! I absolutely love when they throw in smart and funny lines in action movies, and this one was no exception. Be sure to stay until the credits finish, because there is a small preview as to what is coming next in the Avengers movie series. The Avengers: Age of Ultron is rated PG-13 for intense sequences of sci-fi action, violence and destruction, and for some suggestive comments. I felt that this is appropriate for kids, however, there are parts with profanity and the suggestive comments are probably not understood by most kids. 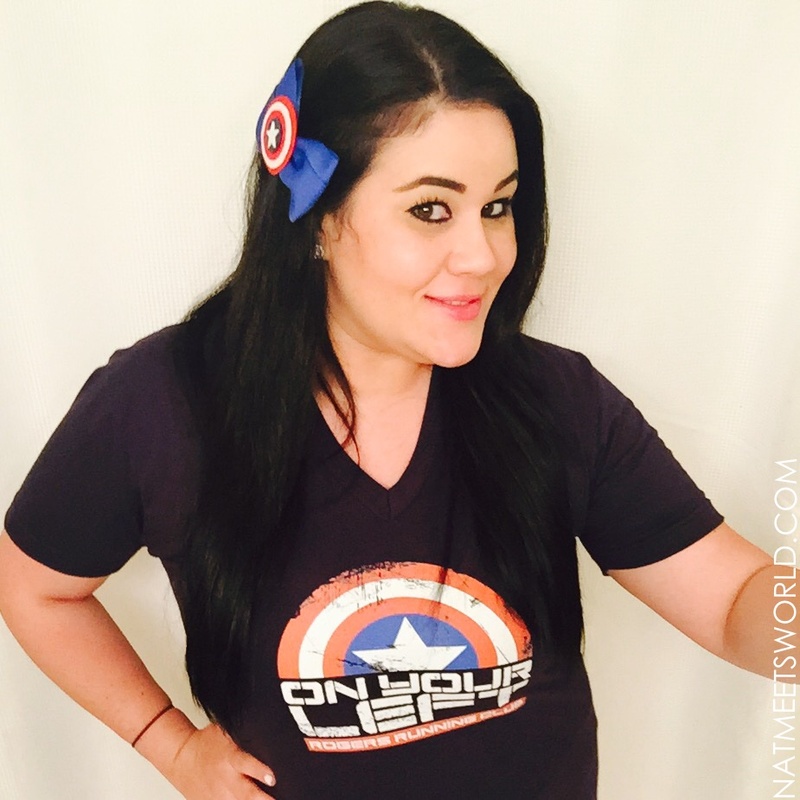 As always, I went in theme to my Avengers: Age of Ultron show. I am wearing a unique Captain America Themed shirt from Red Bubble and a lovely bow from Bow Sew Lovely on Etsy. If you love all things super heroes, or just love any of the amazing actors in this cast, you will love Avengers: Age of Ultron! Don’t forget to save your movie ticket stubs to submit them to your Disney Movie Rewards account for points! I really loved this film due to my immense love for super heroes, so I give it five stars! 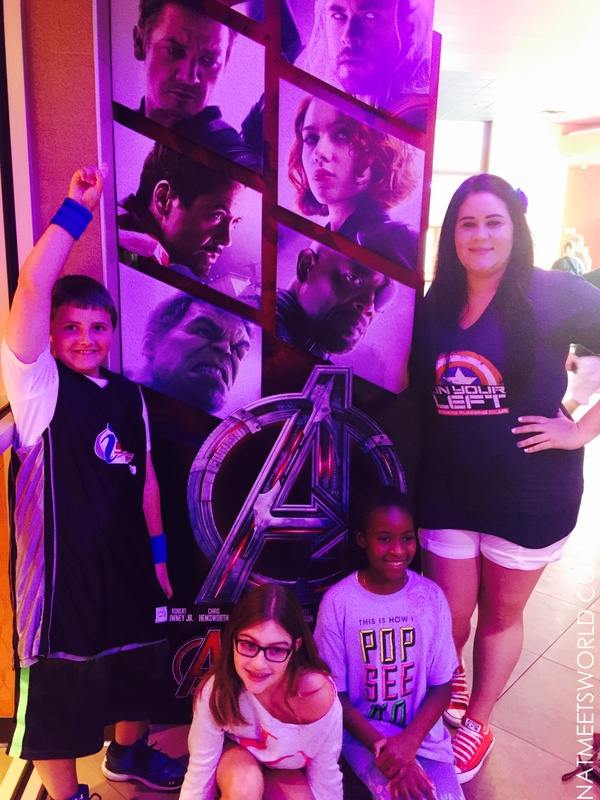 Did you catch Avengers: Age of Ultron in theaters? What did you think of it? Comment below! Disclosure: All opinions and images (except for the first in this post) are my own.